Say 'hello' to the most wonderful coat in the world. 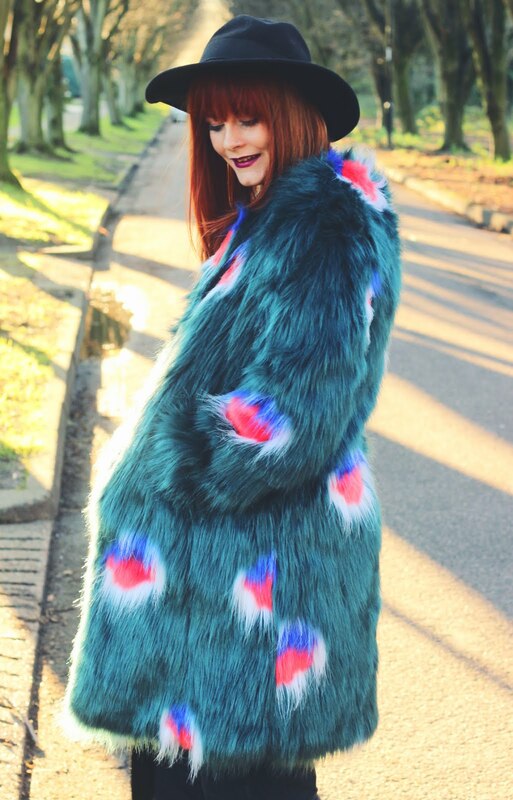 This Story of Lola faux fur peacock coat is the second coat from the brand that sits comfortably on my jacket rail. In fact, the previous pastel dream coat I shot for an outfit post wayyyy back in 2014. Story of Lola did release the peacock coloured coat at the same time I bought my pastel one, but I just couldn't justify buying two crazy colourful jackets within the same week. Predictably it eventually sold out and I was heartbroken. Luckily this year they re-issued the peacock design on ASOS, but this time they designed a longer jacket. 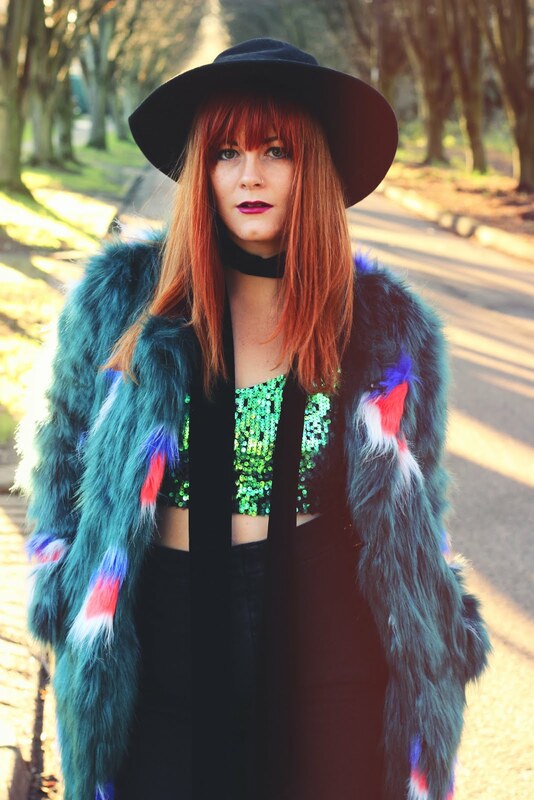 A longer faux fur suited my needs a lot better and I couldn't help myself when it went into the sale. Unfortunately it is sold out now, but it's worth keeping an eye out on ASOS in case Story of Lola add any more rainbow technicolour dream coats to their online collection! That coat is killer. It looks so snug. 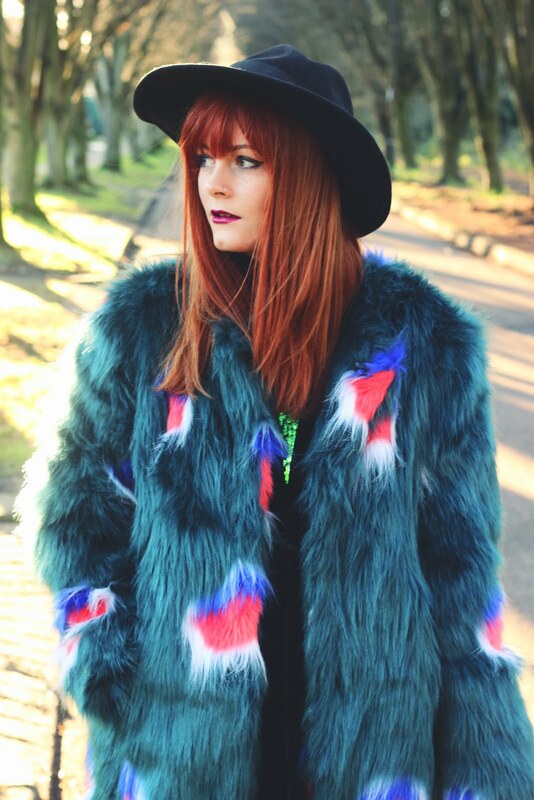 This coat really is a dream, even a goth like me could be tempted by colour this beautiful. I'm in love. What an absolutely stunning coat!! This is the coat of dreams!! Love it! Ohh be still my beating heart!!! I LOVE that coat! That's an AMAZING coat! And I love the green underneath! I would never have thought to put those two things together! Just found your blog and I cant wait to read more posts.